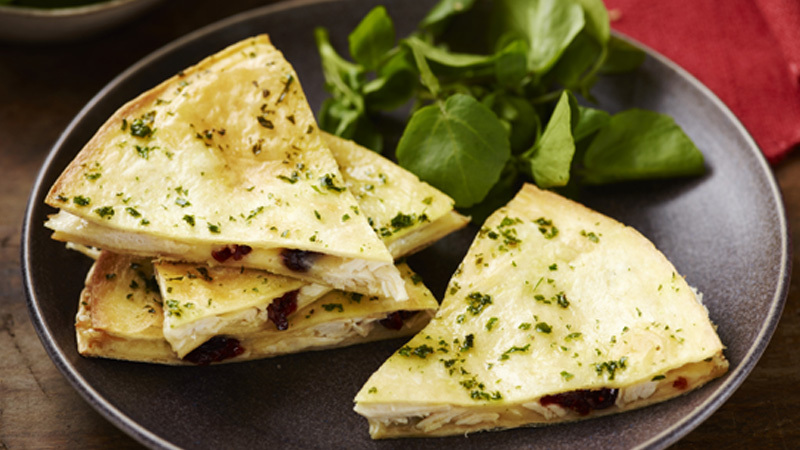 The traditional turkey and cranberry duo gets thrown together with the tortilla for these delicious quesadillas. Preheat the oven to 200ºC (180ºC for fan assisted ovens), gas mark 6. 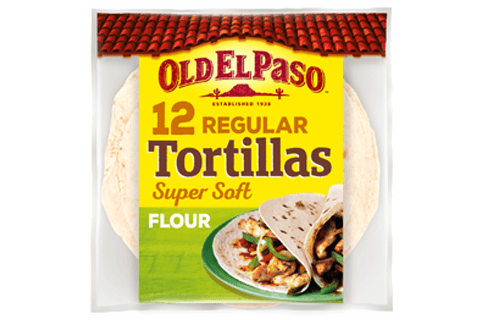 Place 4 of the tortillas onto a large baking sheet (or two if you can’t fit all on one). Scatter 2/3 of the cheese over the tortillas, then top each evenly with the turkey and cranberries. Scatter the remaining cheese on top and cover with the tortillas. Mix the melted butter and parsley in a small bowl and brush onto the tops of the filled tortillas. Cook in the oven for 6-8 minutes or until the cheese is melted and the edges begin to turn light golden brown. Cut into wedges to serve. Make the quesadillas with brie instead of cheddar for a classic combination with a twist. Serve alongside a watercress salad.